Sweet Gypsy Rose is a perfectly beautiful female, ready to take you out of the show ring as a winner! 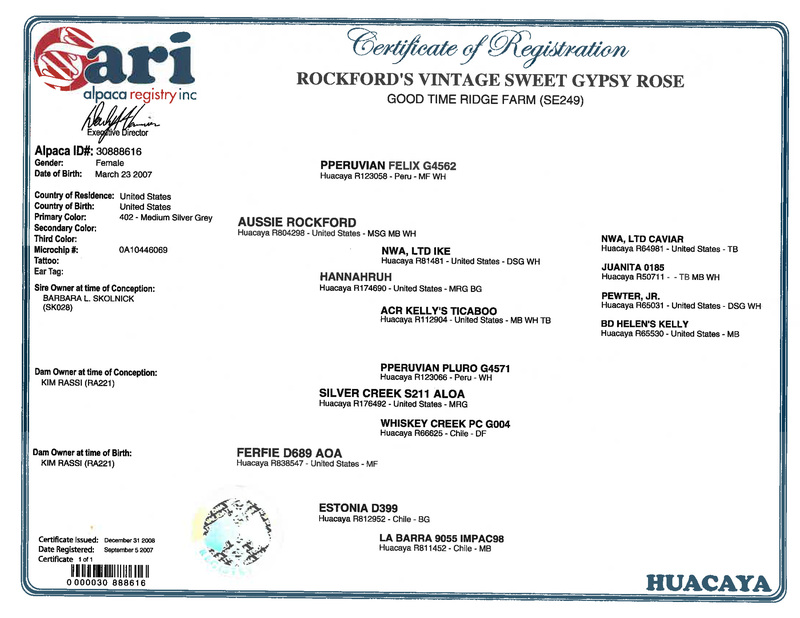 Her sire, Aussie Rockford, has produced MANY MANY ribbon winners and his progeny are still coming on strong! Her dam, Ferfie is out of Silver Creek who hails from Accoyo Pluro. Ferfie gives nice crias ... all the way around .. she throughs the sire and if you breed her to the top of the line, you get results 10-fold in return! 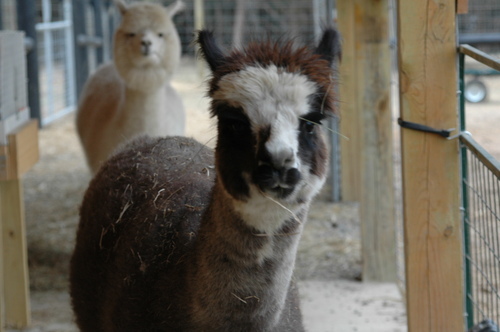 Here you can see her 2007 cria, look back at her 2005 cria Socosani's Del Coronado, and her 2004 cria Ginger Ale... the quality is there and this cria appears to be no different. 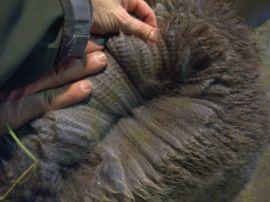 A very well respected alpaca breeder noted that he liked the fleece qualitites the best on this rose grey... however, he did agree that I "hit the jackpot" with the Rockford crias born winter 2007! 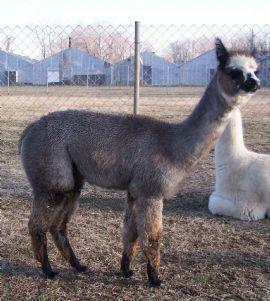 Gypsy just gave birth to a beautiful black male cria sired by Snowmass Artic Fox. He will sell with his dam if sold prior to November 30, 2011.